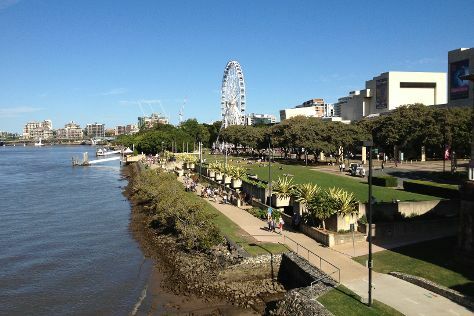 You'll find plenty of places to visit near Gold Coast: Brisbane (South Bank Parklands & Lone Pine Koala Sanctuary). Spend the 23rd (Mon) exploring the fascinating underwater world at Sea World Theme Park. There's much more to do: find something for the whole family at Warner Bros. Movie World, enjoy breathtaking views from SkyPoint Observation Deck, play a few rounds at Surfers Paradise Golf Club, and stroll through Surfers Paradise Beach. For traveler tips, where to stay, maps, and more tourist information, use the Gold Coast travel route planner. Mumbai, India to Gold Coast is an approximately 20-hour flight. Traveling from Mumbai to Gold Coast, you'll lose 4 hours due to the time zone difference. Traveling from Mumbai in December, expect nights in Gold Coast to be about the same, around 22°C, while days are slightly colder, around 32°C. Cap off your sightseeing on the 24th (Tue) early enough to travel to Sydney. Sydney is known for nightlife, trails, beaches, parks, and museums. Your plan includes some of its best attractions: wander the streets of Darling Harbour, see a show at Sydney Opera House, examine the collection at Australian National Maritime Museum, and take in nature's colorful creations at Royal Botanic Garden Sydney. 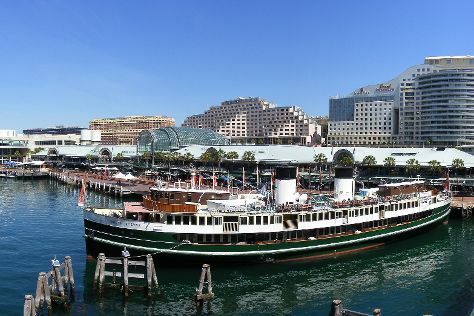 To see traveler tips, ratings, other places to visit, and more tourist information, read Sydney online itinerary maker . You can fly from Gold Coast to Sydney in 3.5 hours. Alternatively, you can do a combination of train and flight; or drive. In December in Sydney, expect temperatures between 32°C during the day and 21°C at night. Finish up your sightseeing early on the 29th (Sun) so you can travel to Melbourne. Change things up with a short trip to The Great Ocean Road in Torquay (about 1h 40 min away). Dedicate the 3rd (Fri) to wine at some of the top wineries in the area. Next up on the itinerary: take in nature's colorful creations at Royal Botanic Gardens, browse the collection at State Library of Victoria, let your taste buds guide you at a local gastronomic tour, and brush up on your military savvy at Shrine of Remembrance. To find more things to do, where to stay, other places to visit, and tourist information, go to the Melbourne vacation planner. You can fly from Sydney to Melbourne in 3.5 hours. Alternatively, you can do a combination of flight and shuttle; or drive. Traveling from Sydney in December, plan for little chillier nights in Melbourne, with lows around 14°C. Wrap up your sightseeing by early afternoon on the 5th (Sun) to allow time for travel back home.